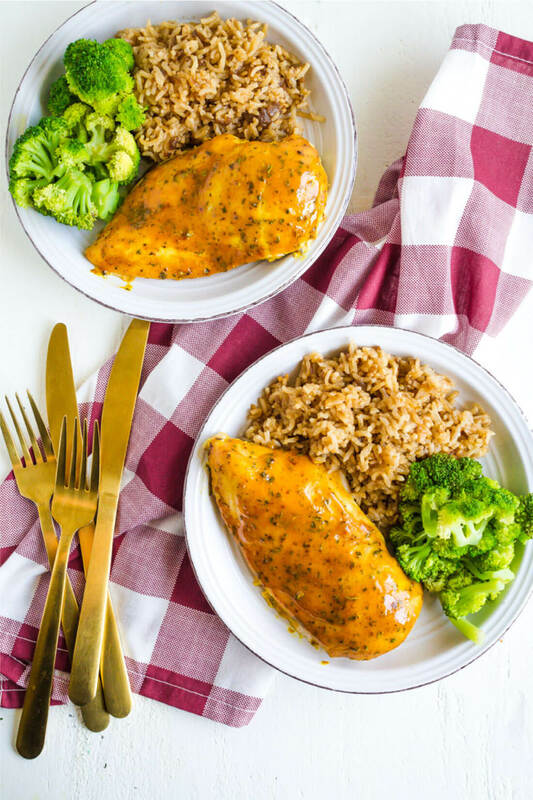 If you’re looking for an easy to make but healthy and delicious recipe, I’ve got just the thing for you – this Baked Honey Mustard Chicken recipe. I’ve been meal prepping and simplifying everything that I can. I also have altered the way we eat. Less casseroles, more straight protein and vegetables. 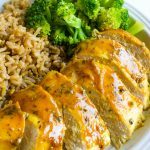 Today’s Baked Honey Mustard Chicken takes no time to make and tastes great. My whole family loves this recipe so not only is it yummy but it’s a crowd pleaser too. 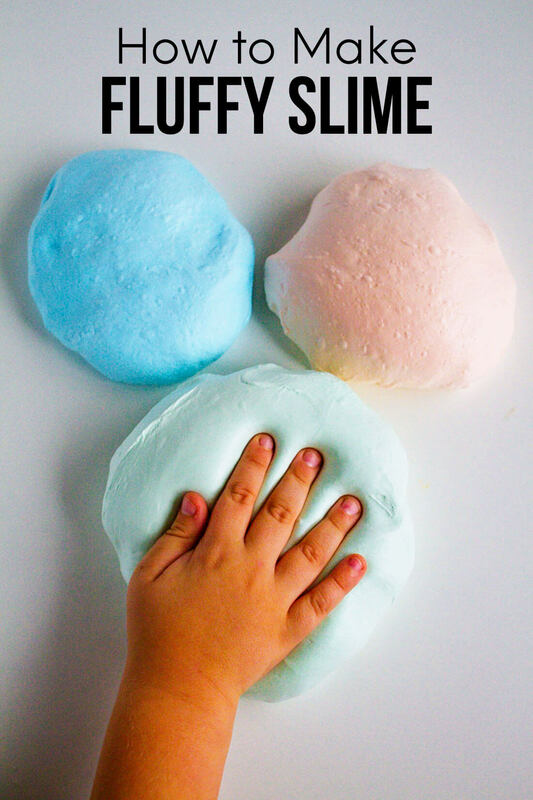 The bonus is that you only need a few ingredients to whip this up! They are things that you probably have on hand and didn’t know that they would go together – at least I didn’t. 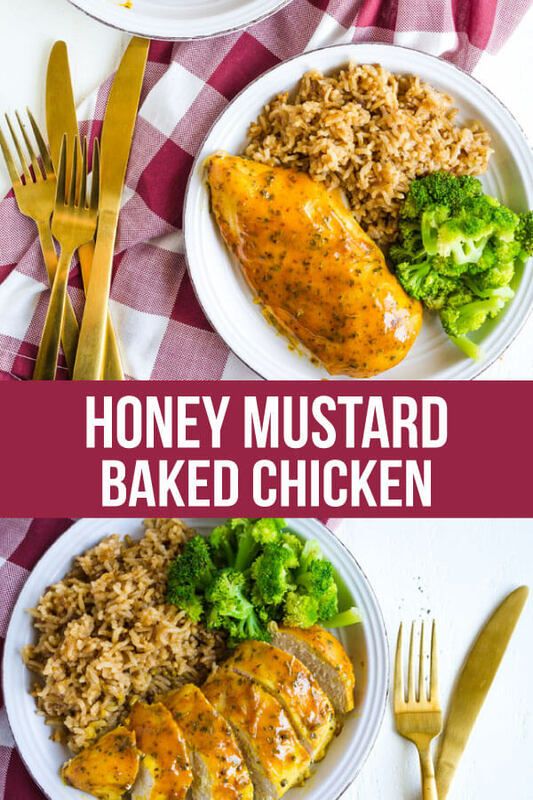 Simple and delicious Baked Honey Mustard Chicken. SO easy to make, healthy and tastes great! Sprinkle salt and pepper over chicken and put in a lightly greased 9x13 inch pan. In a bowl combine honey, mustard (like from a squeeze bottle), basil and paprika. 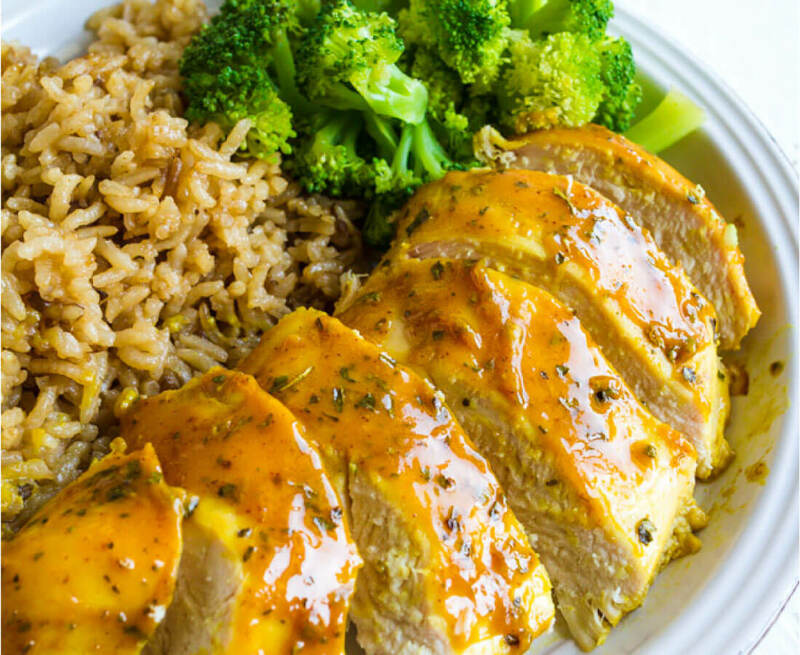 Pour ½ of the sauce over the chicken and spread or brush to cover. Turn chicken over and spread remaining sauce over chicken. Bake for another 10-15 minutes or until chicken is no longer pink in the middle. Remove from oven and let stand for 5-10 minutes before serving. This dish is so simple but there is plenty of flavor. It makes for good leftovers too – you can eat it plain, add it to a wrap, make some chicken tacos. Yum! It’s great to put into containers and eat throughout the week as part of meal prep. 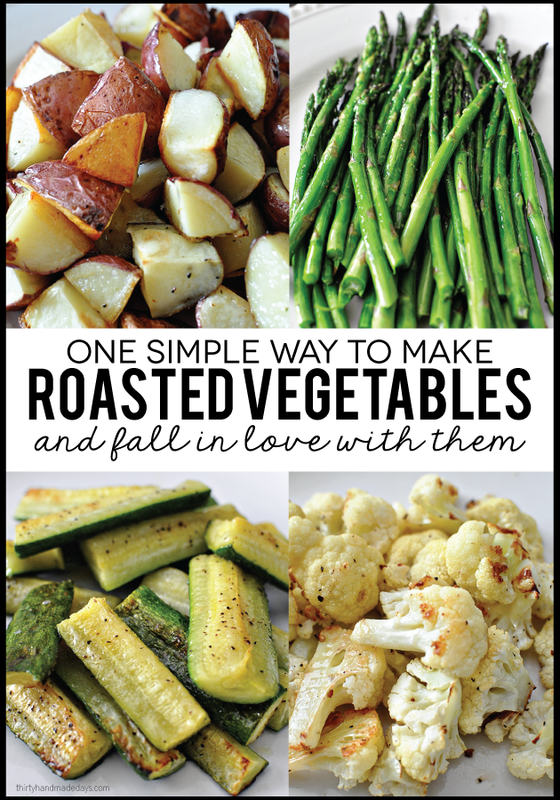 Try it out with some roasted vegetables and Stick of Butter Rice.